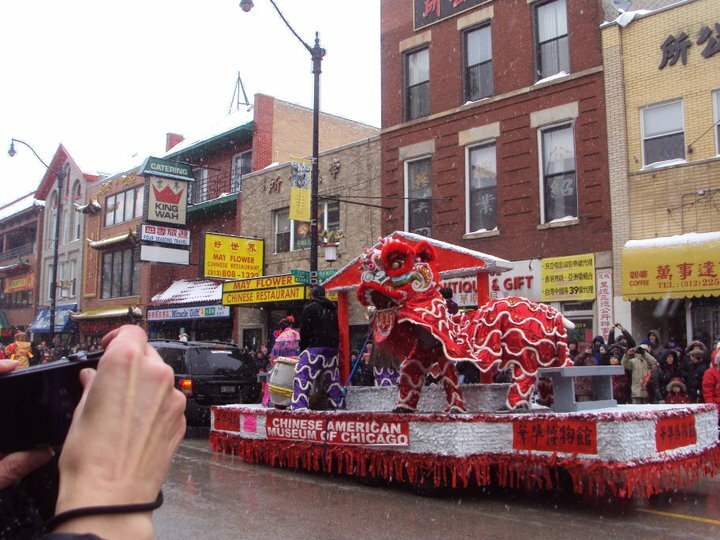 Chicago’s Chinese New Year Parade occurs in the old part of Chinatown and happens every year after Chinese New Year. It starts by setting off some fire crackers and then the veterans start the parade after a fire truck goes past. Then comes that years zodiac. This year is the water snake. The parade includes marching bands, companies (such as McDonalds) and other group floats, a ton of groups from the community such as the schools and associations, there is even usually a bagpipe group that marches through. It can be pretty cold because it’s usually in the middle of February, some years it’s even snowing. 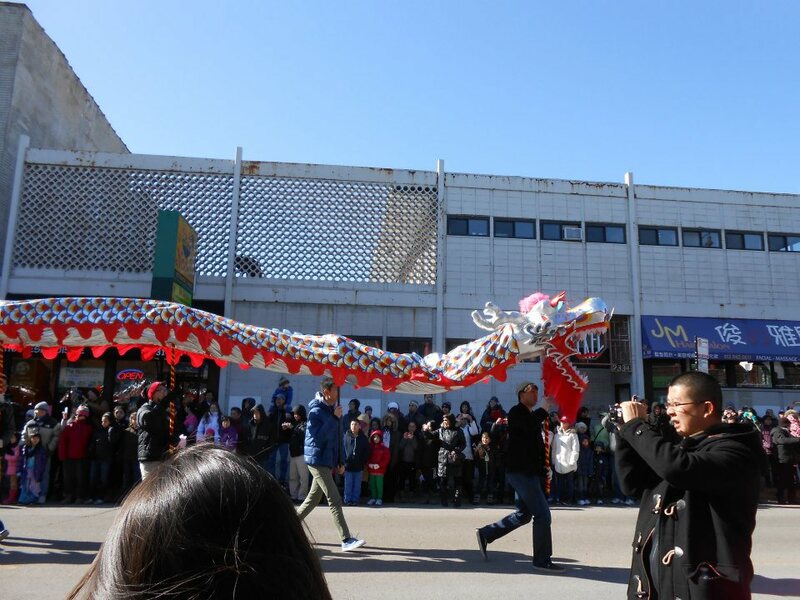 The parade usually lasts around an hour or a little longer and I highly suggest getting there a little early, maybe grabbing lunch, but if you get lunch get it early because this is probably one of Chinatowns busiest times of year. The lines and wait for some of the restaurants can be long. 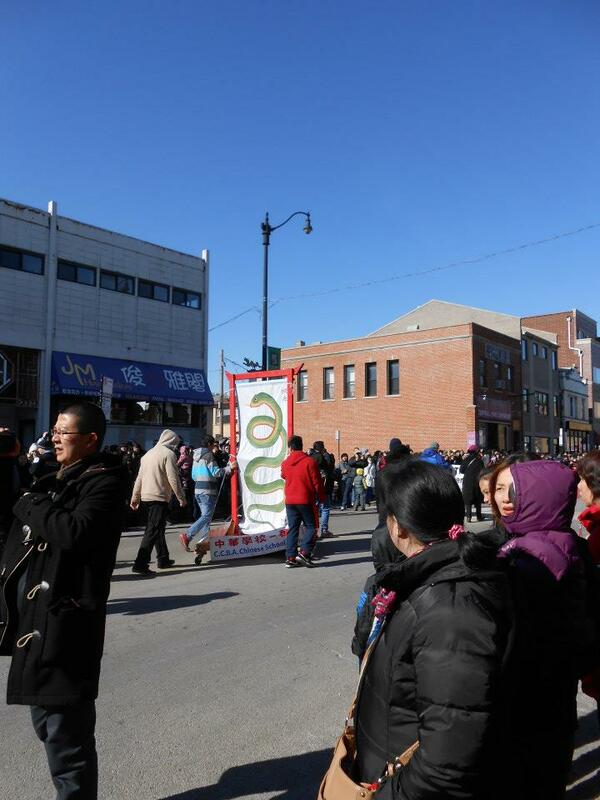 Wear warm clothing, especially if you stand on the right side of the street because that side is usually in shade during the parade which makes it colder. But that also depends on the weather. I always try and remember to wear warm boots so my toes don’t freeze while watching the parade. There are usually also a lot of officers who try to keep the crowd back and away from the parade floats and people, however the people around usually move forward a lot and the crowd shifts because there are usually things passed out during the parade and lots of freebies. After the parade expect a bit of time in order to get out, they set up a stage in one of the streets where usually the mayor and councils thank everyone for coming and thank the performers who come in for the celebration. A lot of the shops and restaurants also get pretty packed after the parade. Sometimes the shops will let one of the Lion’s from the parades into the shop and it will dance and leave some lettuce.